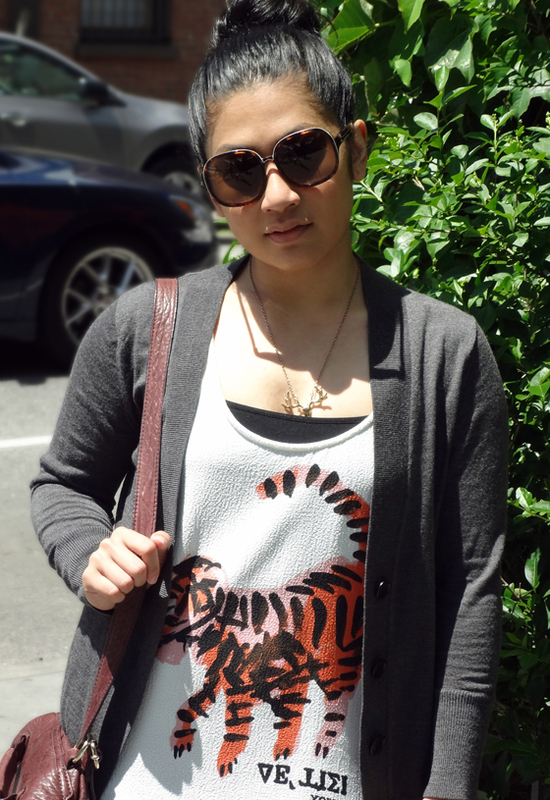 I guess this post and Jess’s original tiger stripes post makes it pretty obvi that we’re huge fans of graphic tops from ZARA, especially when it features a certain giant cat. 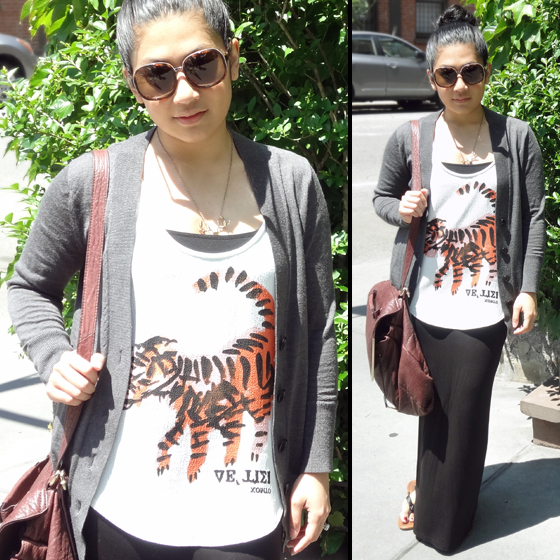 I was hoping to wear this tank sans-cardigan, but Sunday’s weather was a bit nippy (even though it was plenty sunny). The weatherman must have missed the memo that I wanted memorial day weekend to be both sunny and warm! Outfit Combo: cropped top from ZARA, skirt from Dorothy Perkins, sunglasses from Proenza Schouler, cardigan from Banana Republic, bag from Botkier. Its funny I thought my days of wearing graphic prints were gone for good after I graduated college but the new graphic tees are increasingly calling my name! This is a totally cute combo perfect for a weekend with unpredictable spring weather. Love it!